The trip starts on picturesque Gulangyu Island with its laid-back pace of life. 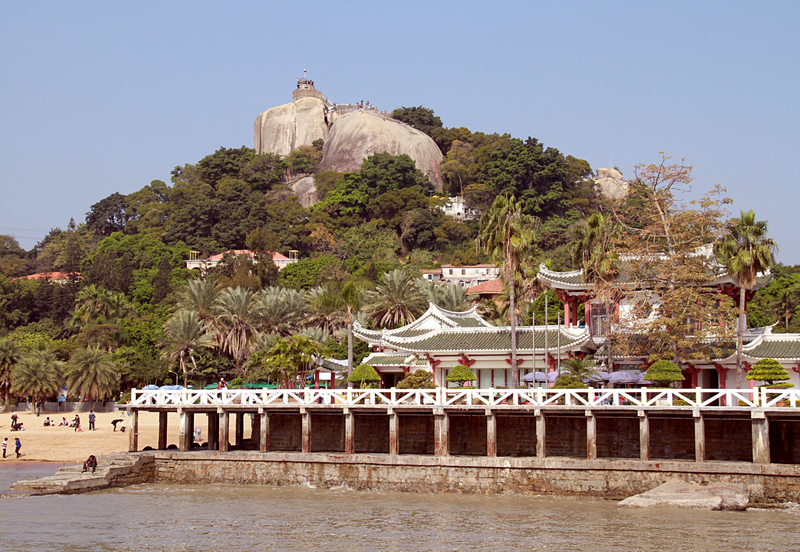 Students will climb Sunlight Rock for its spectacular views then stroll through Xiamen’s central district in the evening. After a full day of Xiamen city, students relocate deep into the rolling hills of the Fujian countryside. We will have the once-in-a-lifetime opportunity to live within the famed concentric mud-castles themselves (Tulou). While in the countryside students will immerse themselves in the landscape through bike hikes and integrate themselves into the local community, dancing, and farming alongside the locals. They will also spend a morning playing sports with students from a local minority community school. Our school trips are completely customizable and can be tailored to meet your requirements. Want to visit Fujian but with a different subject focused themes such as Culture, Mandarin, Geography, STEM, Art or Music? Speak to a specialist now to find out which additional destinations and itineraries are available for this trip. Meet your guides upon arrival and transfer into the city centre. After checking in, we will travel by boat to Gulangyu Island, a place known for its colonial style mansions and beautiful roads. We take a short hike up to the top of Sunlight Rock for spectacular ocean views. Finally, we finish the day on the Zhongshan Road walking street in Xiamen city. Head over to the music workshop where we will be learning a traditional Chinese instrument across two mornings. Possible instruments to learn include: Yangqin – an instrument that is played with a hammer struck on bronze strings, originally from the Persian region and naturalized in the Ming Dynasty. Dizi – a bamboo flute, similar to the western flute with a history of over 7000 years. Erhu – a Chinese two-stringed musical instrument held in the lap and played with a bow. After a morning of music, we visit Hulishan Fortress, a historical location famed for its spectacular ocean sunset. We finish the evening at Zengcuoan Village, a criss-cross of hawker stalls set immediately next to the ocean where students can sample some mouthwatering seafood. In the morning we go back to the classrooms to continue and finish their instrumental workshop. Our trip leaders will make sure – via video – that the parents and school back home can see what they’ve learned. After having finished our instrumental workshop, we take a coach journey out of the city to the heart of the Fujian countryside. Upon arrival, we check into the mud roundhouse (tulou) hotel; the traditional homes of the Hakka Minority People. Students are invited to watch and join in with the locals in their daily evening dance. To start the day, we join a traditional tea ceremony inside a Tulou house, a UNESCO World Heritage Site. After a little bit of free time to browse the handmade crafts, we head to the local school to do some activities together prepared by The Learning Adventure. Students are expected to prepare small gifts for exchange with the local students. To finish the day, we go on a bike hike through and over to neighbouring villages. In the morning, transfer back to Xiamen city and say goodbye to your guides and trip leaders before transferring to the airport. Apply what we’ve learned from our experiences here back at home. Action; each day will have a high level of physical activity, bike hikes, hikes, sports, dance etc… keeping students busy and engaged. Service; Spend time at a local school creating crafts together with the local students and exchanging language. Help the locals to harvest tea and participate in the tea cultivation process.